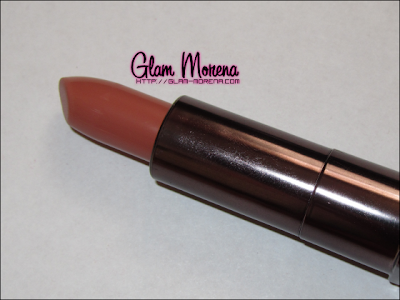 Glam Morena: Review: CoverGirl Lip Perfection Lipstick. 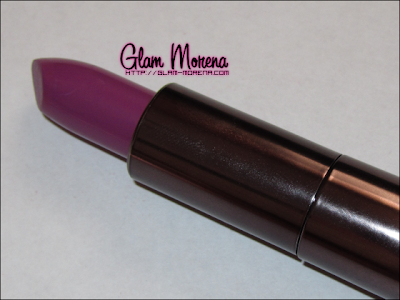 Review: CoverGirl Lip Perfection Lipstick. I went a drugstore lipstick and lipgloss binge a few months ago. Some of the lipsticks that I picked up were the CoverGirl Lip Perfection Lipsticks. I picked out two neutral shades and two more colorful shades. Description: Lip Perfection is a new kind of lip transformation; lipstick that transforms your lips instantly with gorgeous color and transforms dry lips to noticeably smoother/more gorgeous lips in just 7 days. 44 lip perfecting shades organized in 4 easy to navigate shade families. Contains a silk therapy complex - beautiful rich lip color infused with silk protein to help sustain moisture levels so the more you wear it, the more gorgeous your lips become. Packaging: The packaging is simple and rectangular. The lipstick packaging is very sleek. 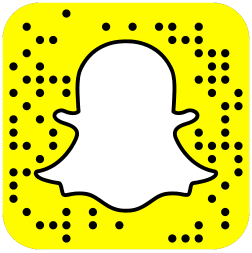 Shades: There are 44 shades available. All of the shades are broken up in 4 categories. 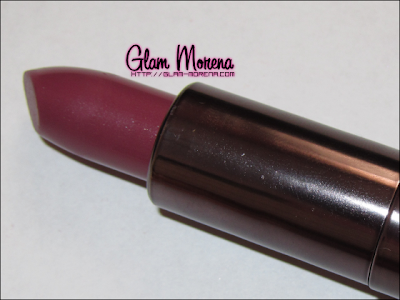 Color Payoff: The Lip Perfection Lipsticks have amazing pigmentation! For the most part all the shades I own are pretty opaque. The only one that applies a bit more sheer is Smitten. Be aware that some of the darker or brighter shades are going to stain the lips though. Finish: These lipsticks come in two finishes: cream or pearl (frost). I love that the packaging lets you know which lipstick is a cream or pearl. You can tell by looking at the color on the bottom. 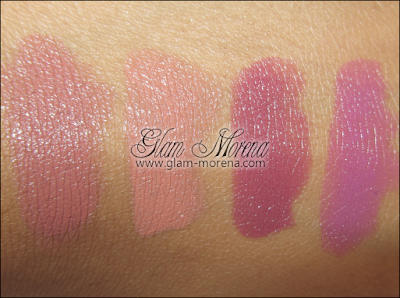 All four lipsticks shown on this post are of a cream finish. I'm not a fan of the pearl or frosty finishes in lipsticks. Formula: The formula is really creamy and smooth. 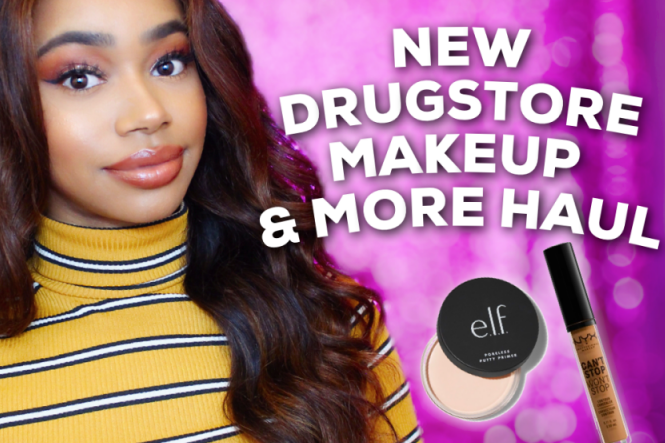 One of the best formulas I've come across from a drugstore lipstick. I also find them to be really moisturizing and not drying. The lipsticks give off a natural glossy shine, which you'll be able to see in the swatches below. 7 Days Claim: CoverGirl claims that these lipsticks will improve your lips within 7 days. I personally didn't notice much of a difference. It also may be due to fact that I switch up my lipstick shades everyday. While I do find these to be moisturizing I don't think they would improve the condition of my lips. With so many great shades to choose from you should at least pick up at 1! 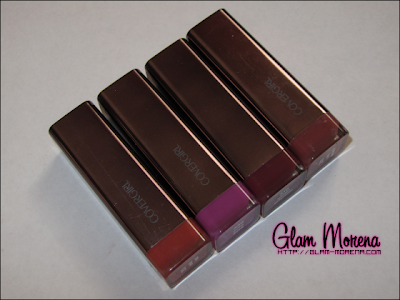 Now on to swatches of the CoverGirl Lip Perfection Lipsticks! 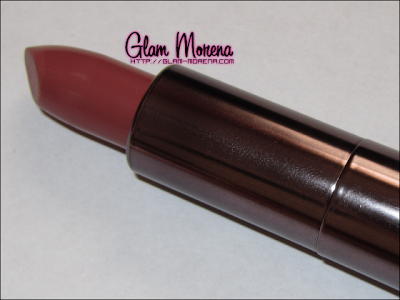 Swatch of CoverGirl Lip Perfection Lipsticks: Sultry, Delish, Smitten, and Divine. Lip swatches of the CoverGirl Lip Perfection Lipsticks! Have you tried Lip Perfection Lipsticks? Thoughts? Favorites? I have tried a few shades, and the wear is nice, but I didn't notice any improvements to my lips and I don't really care for the smell of Covergirl products. The lipsticks are really creamy, long-wearing and nicely pigmented, though. My favorite one is divine. I have that and looks amazing on me. I have flame and impassion and really like them, for the reasons you stated. But I didn't notice any improvement for the lips. Maybe I should wear one color for 7 days? no that'll never happen lol. I was just at walmart the other day should have picked up Delish and Divine they look beautiful! My favorite drugstore lipstick. I didn't know there were so many shades! How do you think they compare to M.A.C.? I don't own any higher end lipsticks. They all look cute on you! I haven't tried them but now I want to...lol.